During the bilateral meeting, the director for international development of the company “Innova Tax Free” announced its readiness for the development of the “Tax Free” system in Uzbekistan. The “Tax Free” system provides for the return of value added tax by buying consumer goods. 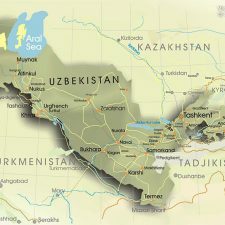 To take into account all the characteristic features of the Uzbek market, the parties agreed to send experts to Uzbekistan in the second half of February 2018. In addition, meetings with such state institutions as the State Customs Committee, the State Tax Committee, the Ministry of Economy and Finance are planned to consider the issue of cooperation.